The first prototype module of CLIC is operational in the CLIC test facility. The Compact Linear Collider Study shows that it does what it says in the acronym: a compact accelerator module, fed by high-power waveguides, cables and cooling tubes, sits elegantly on a custom-made mechanical structure that can be moved in all directions to ultra-high precision, and tests how all the little details work that turn a metal structure into a functioning accelerator module– frequency, losses, damping, acceleration, deceleration. At the CLIC test facility you see none of the heavy-duty steel pipes that characterise the dipole magnets of the LHC. Anna Thomas, ILC Internationalization Coordinator working at Oshu City ILC Promotion Division in Japan, presents a series of interview with foreign residents in Iwate on the Oshu ILC website. In the new "Live from Japan" series, she provides a sneak peek at these interviews. 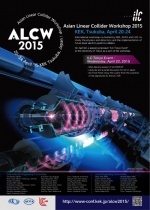 The Asian Linear Collider Workshop 2015 (ALCW2015) will take place at KEK from 20 – 24 April. The workshop will be devoted to accelerator, physics and detector aspects of future high energy electron-positron linear colliders. 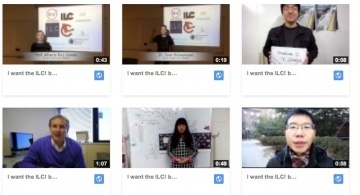 It comes at a critical time for the ILC project development in Japan and will have a special focus on the ILC progress in Japan, says Asian Regional Director Akira Yamamoto. 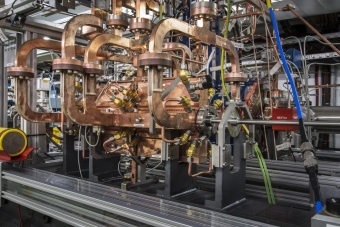 The CLIC annual workshop, held at CERN from 26 to 30 January, did not only bring together nearly accelerator and detector experts to discuss the next stages of the project – it also featured a session on possible applications from CLIC technology, which drew experts from other fields such as light sources, medical research and industry. See the workshop webpage for slides and more information. While the programmes at the Japan Proton Accelerator Complex – including upgrades and KEK’s future SuperKEKB electron–positron collider – involve a broad community of European researchers, generic R&D on high-field magnets and high-gradient structures for the Future Circular Collider and Compact Linear Collider studies are of great importance for both organizations. Scientists from Europe, including CERN, form part of the preparation team for the International Linear Collider project that is being pursued in Japan.